These are light blue, light saphire colors with our Rhodium plated Sterling Silver Insert. 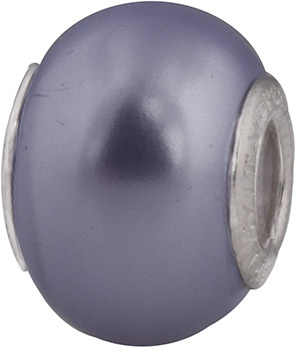 This bead had a 4.7mm hole and fits popular bracelets. (It does not have a screw.) Great color splash at an excellent price.